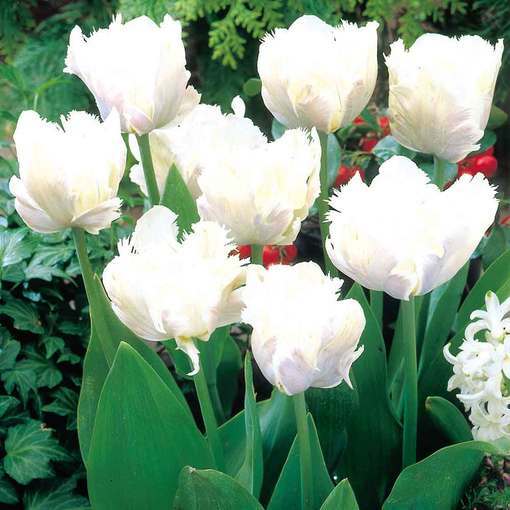 Resembling the feathers of a dove or angels wings, this pure white parrot tulip comes in a pure white. Delicately feathered edges adorn each petal, which twist and turns artistically. 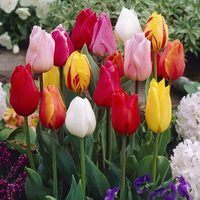 The cup-shaped flower heads open out as the plant matures, providing an ongoing and varied display. They are held up by sturdy stems, surrounded by lance-shaped foliage. White Parrot is a versatile variety which goes with any tulip display. 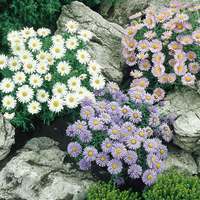 Its clean white colour can break up colour-heavy displays, but also look classy when planted alone. 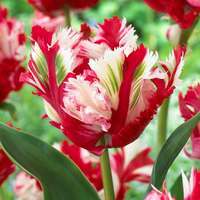 Perfect in pots or the border and an excellent addition to cut flower displays. 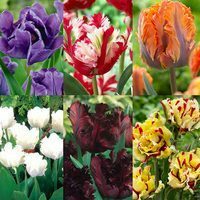 Don't forget that tulips like to be planted late in October and November with the colder weather (it helps wipe out disease, too.) Plant bulbs pointy side up, 15cm deep and water well. 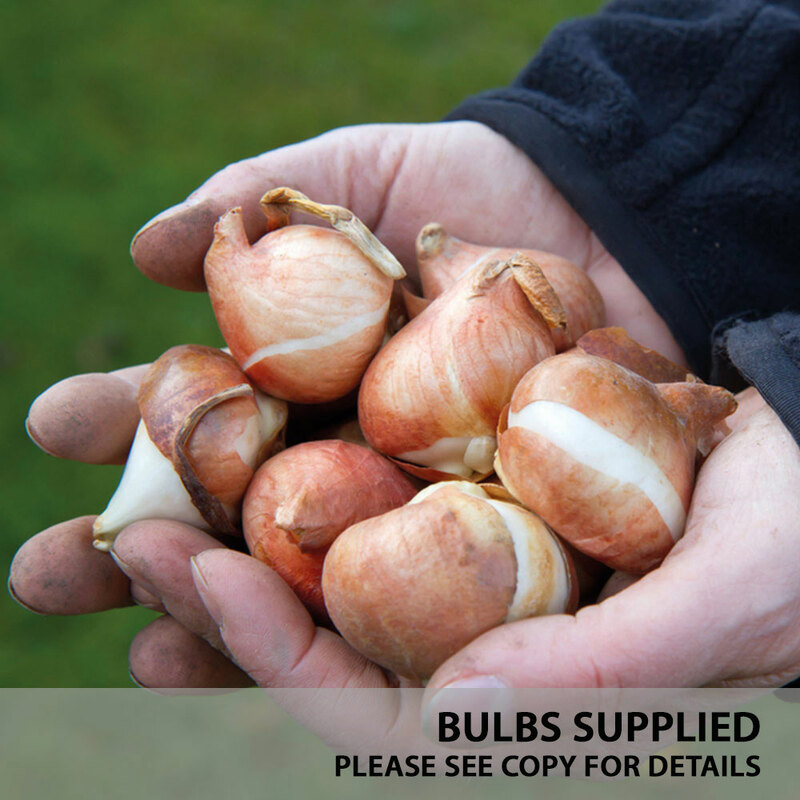 Large 11/12cm bulbs supplied. Flowers April to May. Height 50cm.